Looks like a dress, acts like a romper. This romper has a cross-over wrap front and a self-tie side. 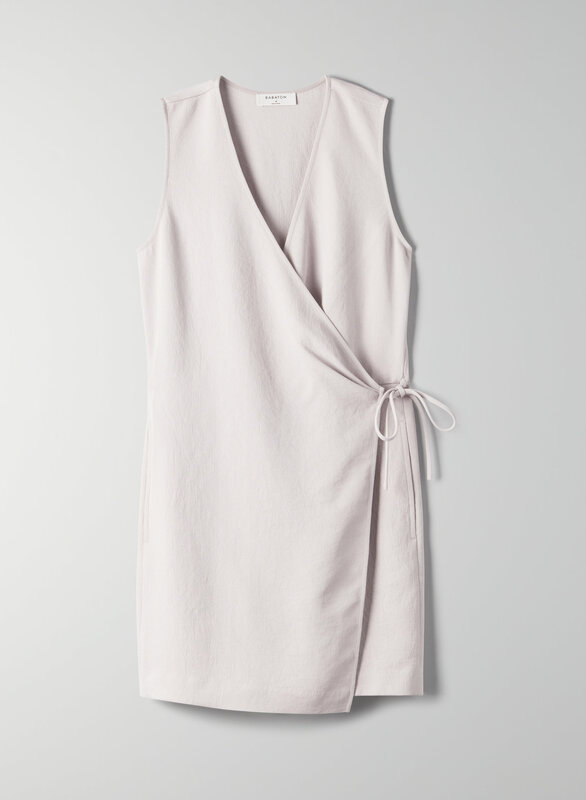 It's made with a textural, lightly structured fabric from Japan.